For additional Information concerning Bosch GAS 11-21 Blue Tool Vacuum Cleaner : Click Here! The Power Tools Division of the Bosch Group is one of the world’s leading providers for power tools, power tool accessories and measuring tools. In 2015, its roughly 20,000 associates generated sales of 4.5 billion euros, about 85 percent of which outside of Germany. With brands such as Bosch, Skil and Dremel, the division stands for customer focus and great engineering progress. The core success factors are innovative strength and pace of innovation. The division generated about one third of its sales in 2015 with products that have been on the market for less than two years. In 2016, Bosch Power Tools will again launch more than 100 new products onto the German market in its four business segments power tools, accessories, measuring tools and garden tools. Bosch Power Tools is number one worldwide in the power tools, accessories and measuring tools business segments, in DIY garden tools it is number one in Europe. The division has a workforce of roughly 20,000 associates at 38 locations in 17 countries. Bosch is the top supplier of jigsaw blades, hammer drill bits, chisels, circular saw blades and shank cutters. Bosch is also a leading manufacturer of saber saw blades, hole saws, accessories for multi-cutters, coated abrasives, abrasive fleeces and sponges, and screwdriver bits,and other are Power Tools for Trade & Industry, Accessories for Professional Power Tools, Production Tools for Trade & Industry, Garden Tools, Dremel Tools. 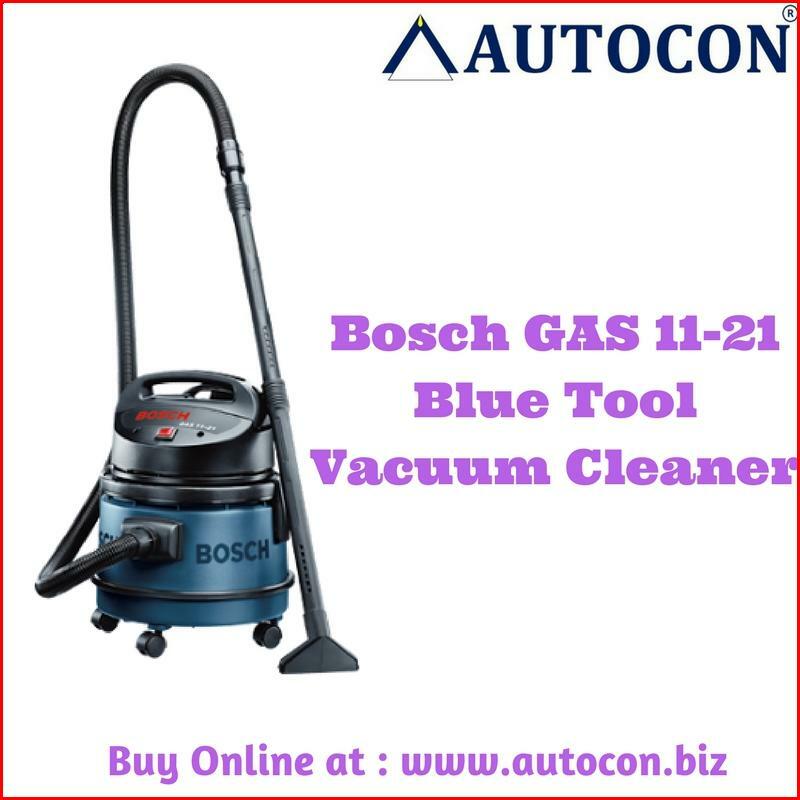 Keeping your home tidy and neat is not difficult anymore with this new Bosch GAS 11-21 vacuum cleaner which is brought to you by Autocon. This vacuum cleaner has a sturdy and ergonomic design and has a user-friendly mechanism which makes it easy to handle. With numerous innovative features, this vacuum cleaner is sure to impress. Along with the vacuum cleaner, in the box you will find a 3 m air hose, a suction pipe, a suction nozzle, a crevice nozzle, a dust box, and a suction brush. The speciality of this Bosch GAS 11-21 vacuum cleaner is that it has a compact design and is easy to manoeuvre. Moreover, easy transportation and loading is possible due to the compact design. This powerful and robust dust extractor is impact resistant, which ensures the longevity of the product. It is powerful and rust-free and includes a 21-litre container which allows you to collect dust in and around the house. This cleaner is fitted with a permanent and sturdy fabric filter which efficiently removes dust particles from difficult areas, which ensures a bacteria and germ-free living space. Additionally, the hose of this vacuum cleaner can be adjusted so that you can conveniently store it in your house. It has four wheels which enhance the mobility and balance. This Bosch GAS 11-21 vacuum cleaner runs on a powerful motor of 900 W. With a maximum airflow of up to 50 litres per second, your house will always be neat and tidy without much effort.